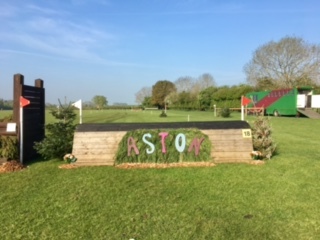 Very happily the second day at Aston also went to plan, very impressively they had watered the ground some more overnight so the going was even better today, and we were very happy with our group of horses. I had Little Fire having an OI outing ahead of Chatsworth at the weekend hoping that that would settle him down. He did a nice test of 29 with a couple of small mistakes, and jumped a super clear show jumping. I never planned on running him cross country. FC Torino had a very pleasing day, and everything came together very nicely. He scored 25 in the dressage which was in the lead, he then jumped a beautiful clear show jumping but I rather hopelessly got 2 time faults. 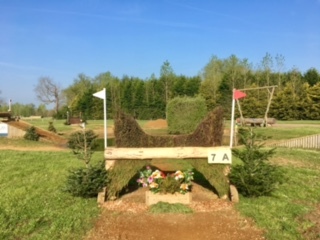 He then cruised very nicely around the cross country making it feel very easy. I let him run on a bit and he got 11 time faults and moved down to 11th. In the Novice I had Seventh Heaven, who finished 2nd on his dressage score of 28. 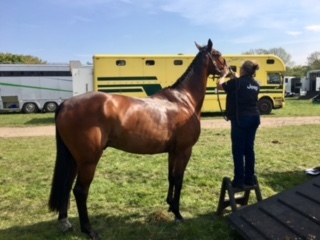 He is going so much better on the flat and really coming on in leaps and bounds, he was a bit short of warm up so I was very impressed he got 28 with some tension. 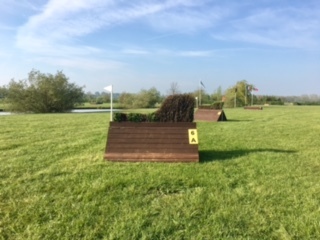 His show jumping was excellent and clear, and he cruised around the cross country making me feel that he really should have been doing the Intermediate. Like Little Fire I was giving Georgisaurous an outing ahead of Chatsworth, and it will also have done him no end of good. He did a good test of 26 despite taking an aversion to the judges hut. He jumped very well show jumping having a fence down because I ended up with no line to it. Andrew was there with Andarilho, who had a fantastic win. 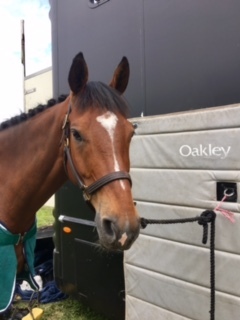 He did a super test of 27 and then did a very professional double clear, feeling excellent ahead of doing the 1* at Houghton. Carol Egan was able to be there to watch which was brilliant. Andrew was also having a ride on Volcan du Barquet to see how he responds to a lighter weight, and he had a very satisfactory outing. He behaved impeccably in the dressage, although Andrew was quite sensibly unambiguous, and scored 35. He then jumped one of the best rounds clear show jumping that I have seen him do. And cruised very comfortably round the cross country. I think the plan is for Andrew to do a couple more events on him to see how they gel. Tomorrow we have got the long trip to Chatsworth and it will be very exciting to be up there with the two. Let's hope they have had some rain. 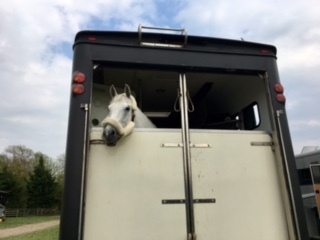 Little Fire is doing his first Advanced but his cross country is not until 5pm on Sunday so I will have to stay focused.